Thanks to the power of Health Information Exchange (HIE), patients today are able to reduce costly and often unnecessary diagnostic tests and readmissions. Taking strides from coordinated care to preventive care, HIE is now on the verge of revolutionary transformation. As interoperable and integrated healthcare systems break the information silos to forge wider pool of health data – payers, providers, and end users stand to gain through this evolution. At the heart of the HIE evolution is Technology. Burgeoning mobile applications, cloud-based healthcare IT systems, and collaboration tools have brought connectivity to new heights. Through Big Data, care coordinators and providers are now gaining actionable insights in real-time, simplifying healthcare delivery while reducing costs. IoT, on the other hand is driving consumer engagement and bringing in vital health information to HIE, enabling applications, services, and systems to work in synergy – automatically. Enroute these transformative changes, companies are also focusing on securing their data, which is of prime importance in closing the gaps in healthcare delivery. There are several inventive HIE solution providers that are at forefront of driving the technology excellence and security in the HIE space. 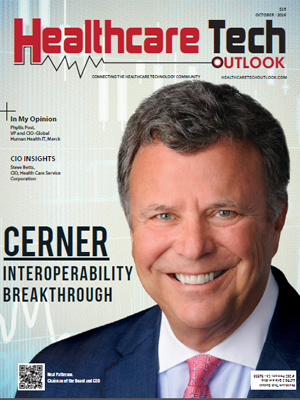 To simplify and help CIOs navigate the complex landscape, Healthcare Tech Outlook is presenting to you a list of 20 Most Promising HIE Solution Providers. A distinguished panel comprising of CEOs, CIOs, VCs, analysts including Healthcare Tech Outlook’s editorial board has choosen the ‘20 Most Promising HIE Solution Providers 2016‘. Provider of healthcare information technology solutions that advance clinical, financial and operational results.